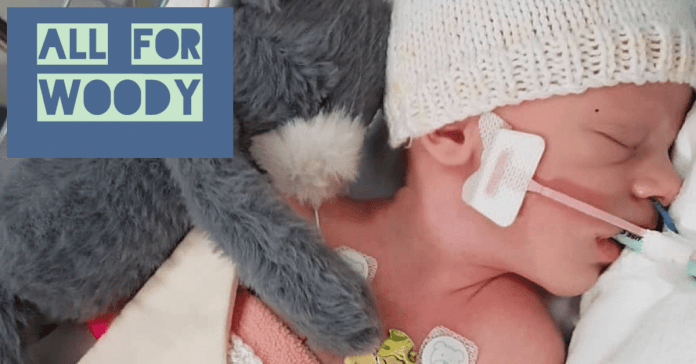 A local couple are fundraising for Birmingham Children’s Hospital (BCH) after they were supported, along with their baby Woody, during his short life last year. Baby Woody was born on 23rd September 2018 to Cofton Hackett parents Matthew and Amy. Woody was diagnosed with a very rare lung disorder – one of only 16 children worldwide known to have ever suffered the disorder. Woody sadly passed away at the age of just 22 days on the Paediatric Intensive Care Unit (PICU) at BCH. In spite of their own battles, Matthew and Amy have been working hard to raise funds to help those that cared for their family to support others. So far, over £3000 has been raised for PICU, which was donated to the unit in time for Christmas. For their latest fundraiser, Matthew and Amy and a team of walkers will be hiking to the summit of Mount Snowdon in March. If you wish to support them, you can offer to walk with them or donate via their All For Woody fundraising page. Matthew lovingly prepares handmade memory boxes for parents whose babies are stillborn or pass away in their first days of life. 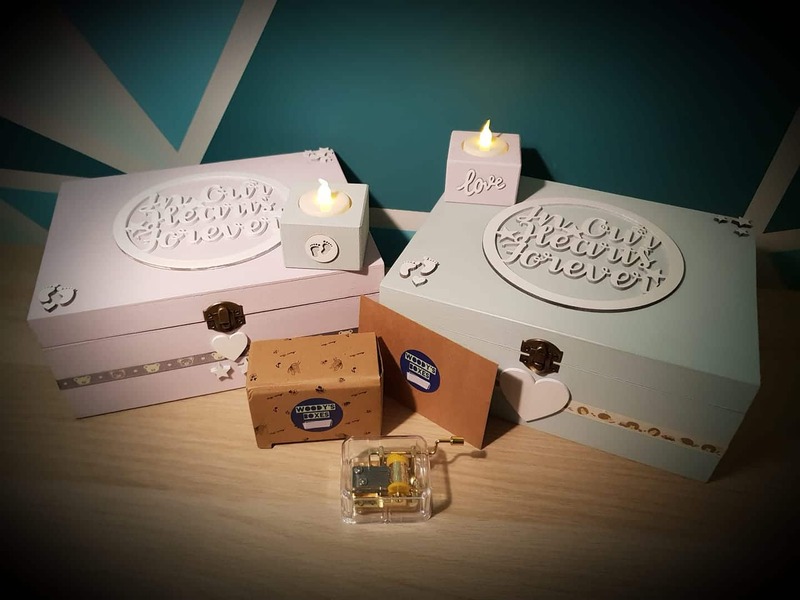 The personalised boxes are sponsored by donors and are a place to store keepsakes to help parents remember their baby. Inside, Matthew places a message to the parents, a baby loss poem or quote, a Sankyo music box, a personalised tea light candle and holder and some forget-me-not seeds to plant. The boxes are to be donated to Birmingham Children’s Hospital’s Bereavement Services. While supporting others, Matthew and Amy are keeping memories of their own beautiful boy alive. 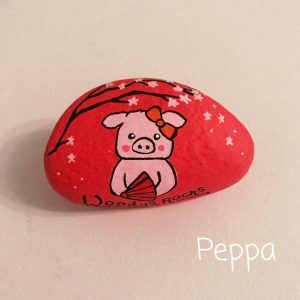 Amy has been painting wonderful smile stones which have been placed all around the world. Amy lovingly gives each rock a name and its own identity before they are sent off on their travels. The rocks keep Woody’s memory alive and raise awareness of the need for support for families experiencing stillbirth and neonatal bereavement. Finders are asked to report back to the Woody’s Rocks Facebook page with a photo, before placing somewhere for someone else to find. So far, Woody’s Rocks have seen quite a lot of the world – 59 Cities, 28 Countries and 4 Continents – Robin even managed to meet a humpbacked whale in Iceland (see below)! Amy said: “When the rocks are found, people become part of Woody’s journey. 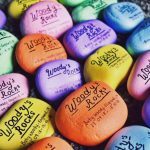 You can follow the great adventures of Woody’s Rocks on Facebook.